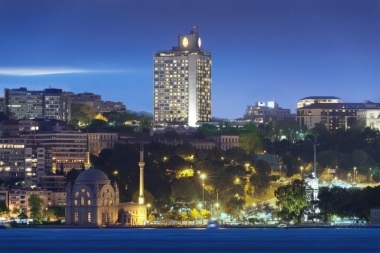 InterContinental Istanbul, Istanbul, Turkey. Information, Photos and Reviews. 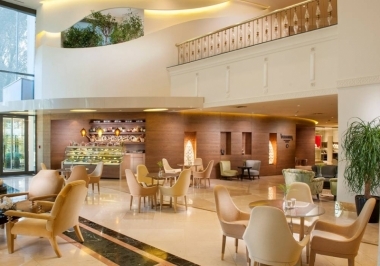 Five-star ambiance at İstanbul’s one of the best address and in the heart of the city, InterContinental İstanbul is the ideal base from which to explore this Ottoman capital city’s endless historic sites, museums, restaurants, clubs and shopping centers. Located in Taksim Square, commanding stunning views of the Bosphorus, the hotel is in a short walk from Dolmabahçe Palace, İstiklal Street and urban tramway. Historical attractions from the lavish Ottoman halls of Topkapi Palace to the world’s greatest church St. Sophia and Blue Mosque are a few tram stops away from the hotel. Of the 390 guest rooms and suites, many have breathtaking views of the Bosphorus, historical landmarks and Taksim Square. 80% of rooms have Bosphorus view. Non-smoking, smoking floors and 4 handicapped rooms are available. 53 suites including two Presidential Suites offer elegant accommodation with jacuzzi, sauna and plush amenities. 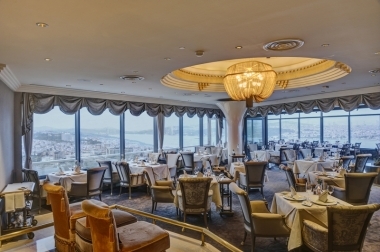 “Academie Internationale de la Gastronomie” awarded Safran Restaurant offers the finest in Turkish and Ottoman cuisine and spectacular views of the Bosphorus. The open terrace provides the opportunity to enjoy breathtaking panoramic views all year round in this elegant and sophisticated setting. 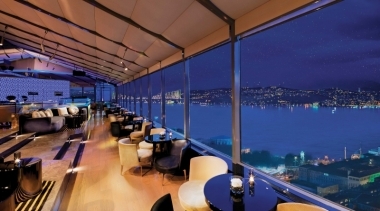 With İstanbul at your feet, City Lights Restaurant & Bar is the perfect spot to unwind while enjoying the finest wines, personalised cocktails, delicious appetizers and the most delectable of desserts. With something to appeal to everyone, Veranda Restaurant & Lounge, with its large outdoor garden and water feature, extensive wine cellar, fireplace and relaxed setting, is a perfect location at any time of day or night. Available to Executive Club guests are 85 rooms and suites on the Club floors with personalized service. 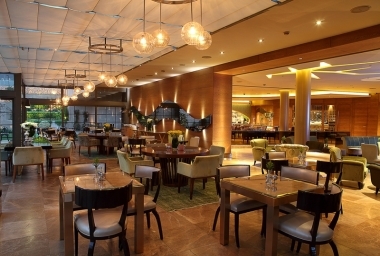 The Club Lounge is on the 16th floor and covers 400 square metres offering private check in/out, complimentary continental breakfast and lavish open buffet selections, evening drinks, use of a boardroom with 24-hour access to business equipment. 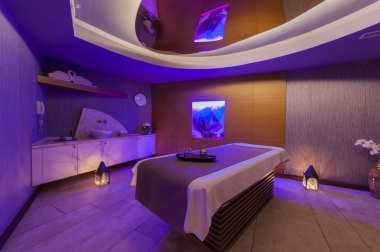 Spa InterContinental is a haven of health and indulgence, recreation and relaxation. Facilities include an outdoor pool, computer-controlled cycling, step and ergonomic rowing machines, treadmills, fitness equipment, aerobics, Turkish Hammam (with separate men’s and women’s amenities), traditional Turkish skin exfoliation, steam room and sauna, solarium, skincare treatments, relaxation centre and a variety of massage treatments. 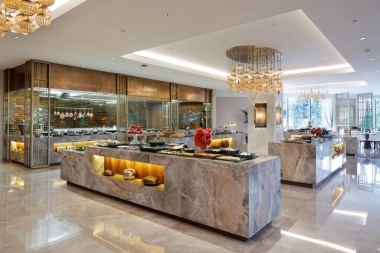 Nobody has reviewed InterContinental Istanbul yet, Be the first. You are submitting a booking enquiry. 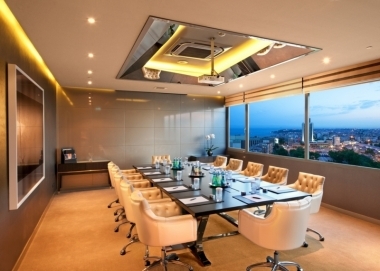 InterContinental Istanbul will then contact you by email with details of availability and prices.